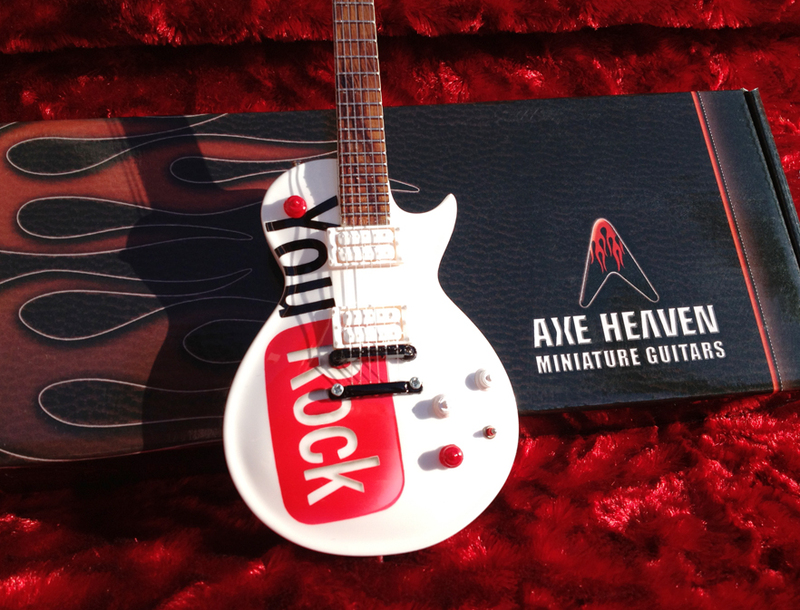 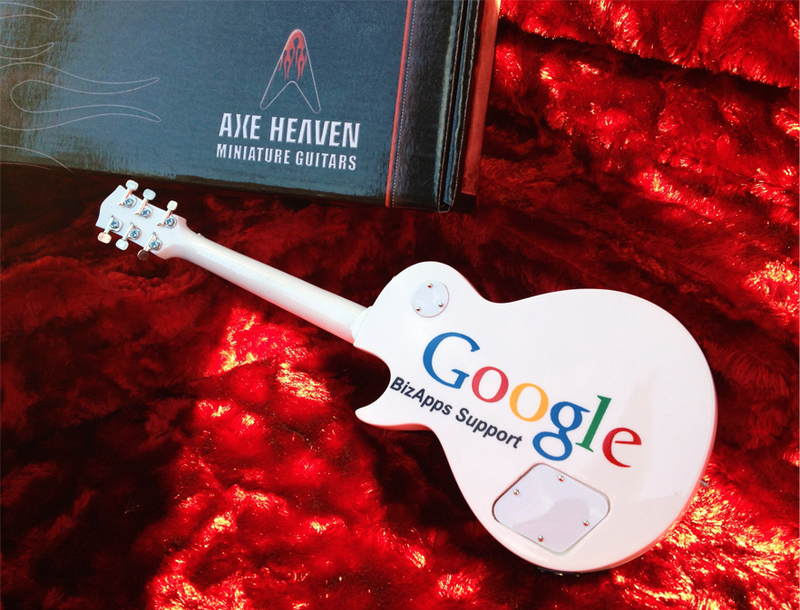 The one and only Google contacted AXE HEAVEN® to have us design and handcraft a miniature promotional guitar as an award to recognize their BizApps Support department. 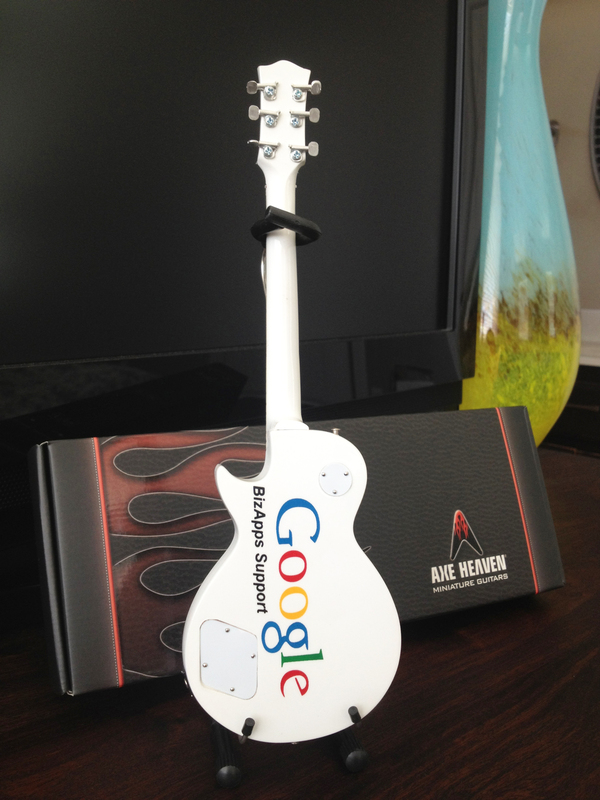 The final product, which reflects both Google and YouTube’s corporate images, was a big hit with the recipients. 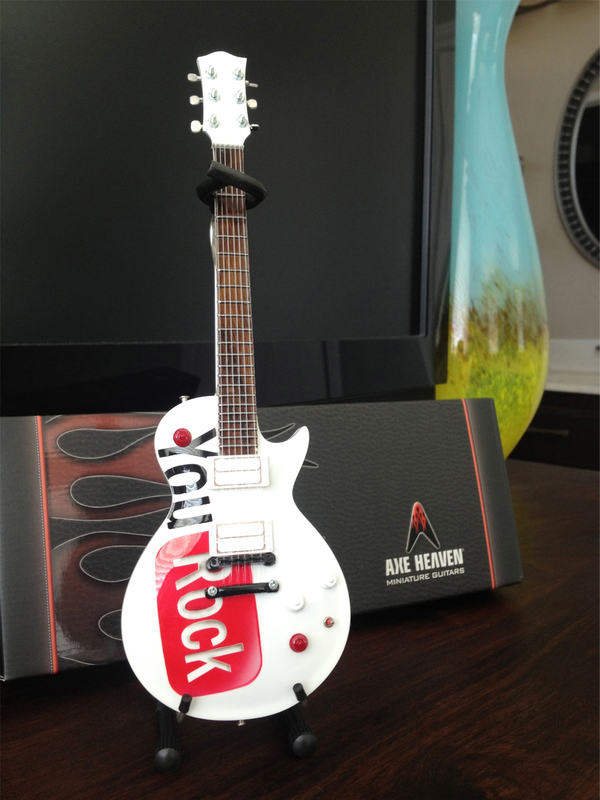 Here are AXE HEAVEN® we want to design, develop, and create one of the most unique promotional, employee incentives and awards available in the marketplace. 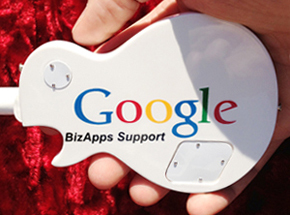 The back shows off the colorful Google logo along with the BizApps Support Team text. 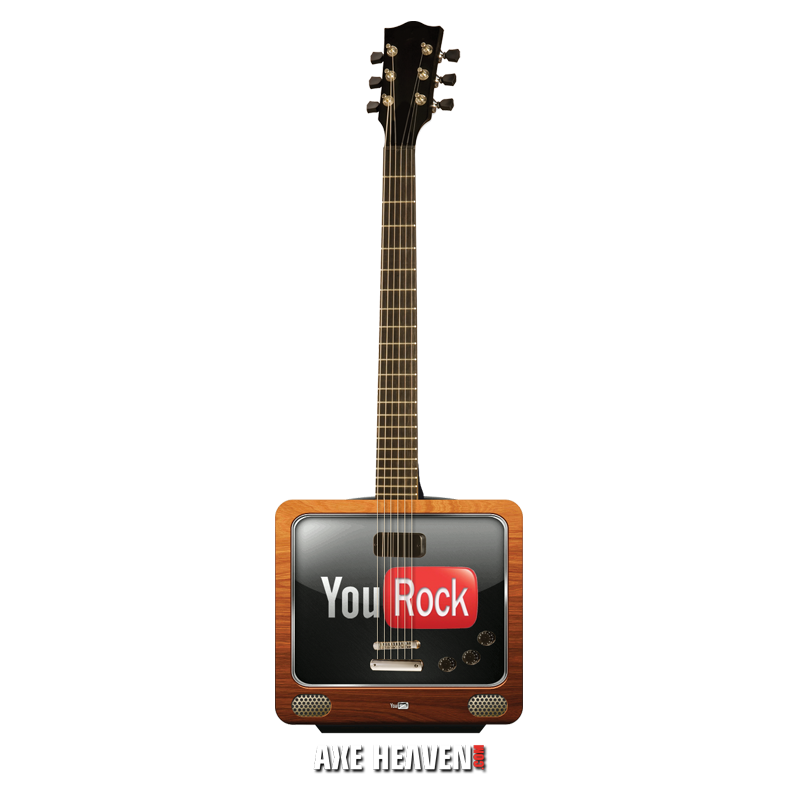 Google wanted a cleaner, more up-to-date look that displayed their company branding more prominently and voted the TV design option out. 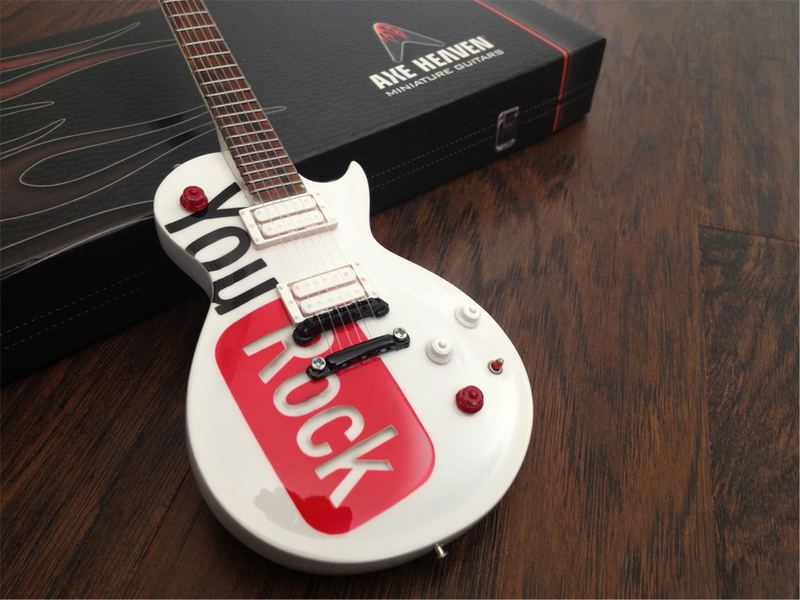 We wanted the YouRock logo to be a bold statement on the front of the mini guitar. 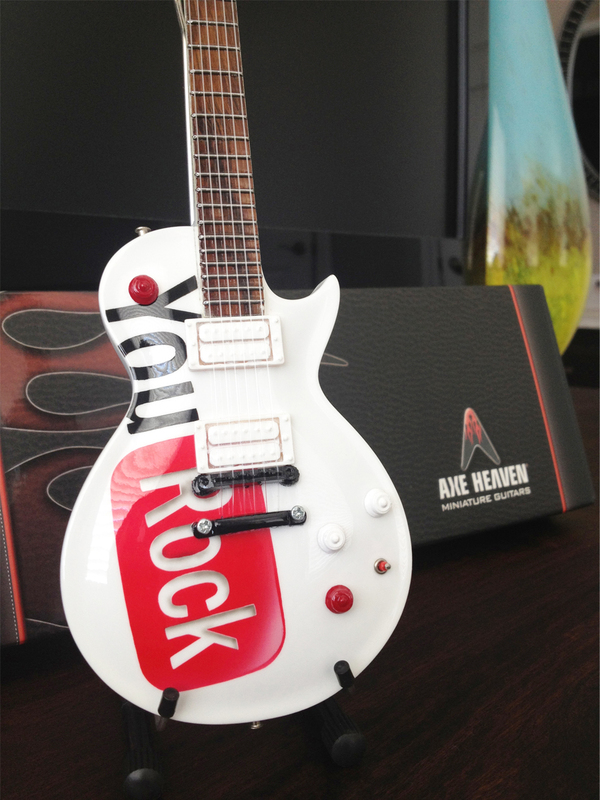 This very cool vintage TV tube was an early design concept created by our AXE HEAVEN® designers. 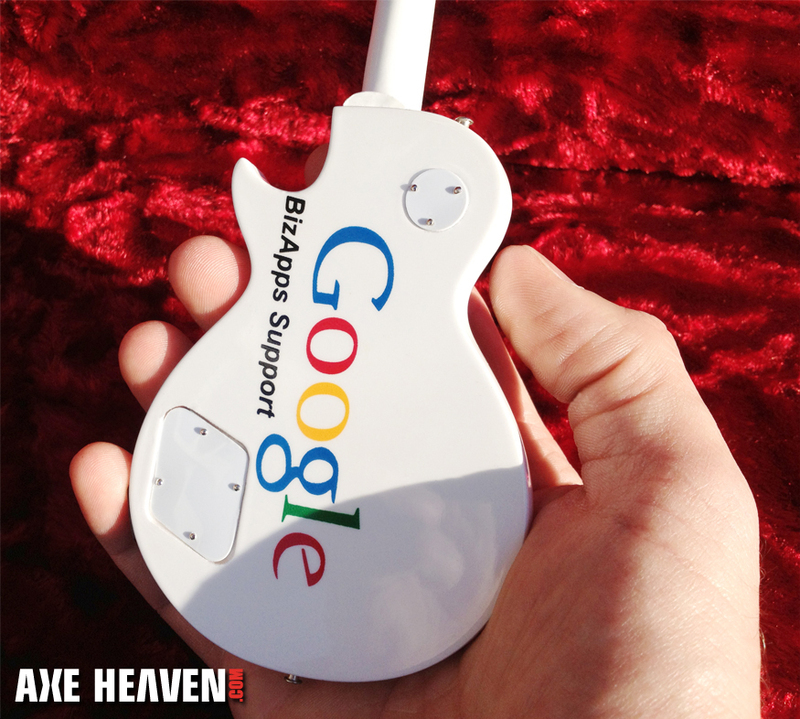 The final product clearly represented both Google and YouTube’s branding and corporate images.